Having become a lover of the game of baseball mostly thanks to my 9-year old son’s passion for the game, I was eager to delve into this baseball novel. I’ve read several of Grisham’s books over the years and he spins a good tale. 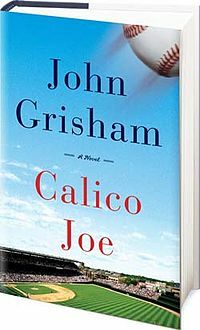 Set in 1973, the title character of this novel is Joe Castle, hailing from Castle Rock, Arkansas – a rookie ball player drafted by the Chicago Cubs in 1973. Joe is on fire – a phenom, hitting home run after home run and breaking record after record. His promising career, however, is cut tragically short by a “beanball” that nails him in the face and renders him disabled. The beanball is an intentional effort to put this hot young rising star in his place by a bitter, hard-drinking Mets pitcher named Warren Tracy. Narrated by Warren Tracy’s son who witnessed the fateful game and knew the near-deadly pitch was intentional, this is also a story about heroes and disappointment, broken hearts and redemption. I really enjoyed this story – more than anything, all the baseball lingo. The story itself is short and simple (I read it in a day and a half), and if I had anything negative to say about it, it would be that it could have used a little more meat. The characters, while relatable, did not feel fully developed, and the entire story wrapped up a little too neatly. Still, if you’re a baseball fan and looking for a quick read, this one’s worth your time.